An editor at BBC-TV takes a witty and honest look at the “special” relationship between the US and the UK. IMAGINE INVITING A BRIT TO A BARBECUE - THAT’S THIS BOOK. 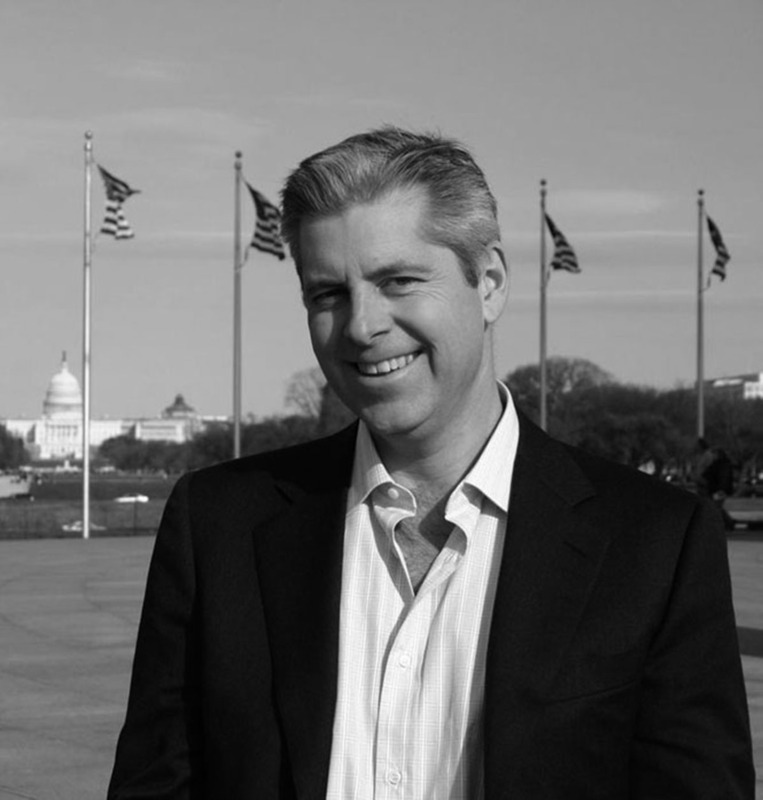 Justin Webb was the BBC’s man in America. He covered politics and interviewed presidents, but more importantly he reported, as Alistair Cooke once did, on the rich tapestry of American life. This is his toast to a country he called home for the best part of a decade. Webb’s America is a place of possibility and promise. He is scornful of those who think the nation is in decline, and posits an exciting new diplomatic era in which America diversifies its international relationships. Cheers, America will make you smile. Its wry and heartfelt observations provide a redeeming vision of our country at a time when it is redefining its identity. The response – I paraphrase it here – of most English men and women to Mitt Romney’s overtures in the summer of 2012 puzzled and wrongfooted the then GOP presidential candidate, but served a decent purpose nonetheless. It told a big truth about You (the Americans) and Us (the English). An adviser had suggested that Mr Romney was keen to rebuild America’s ties with those he called “Anglo-Saxons”. He had thought the use of this phrase would be helpful, a harmless tickling of the tummies of the stuffy old English as they pottered about their quaint Tudor homes making tea and trying, still, to find a role after losing that Empire. But that term– Anglo-Saxons – blew up in Mr Romney’s face. In America, contrasting the candidate of the Anglo-Saxons against a president who did not look hugely like a Mayflower settler caused a certain queasiness. But in England, the supposed home of the genus Anglo-Saxon, there was even greater incredulity. How could a serious candidate for high office in the United States possibly look at England, and in particular our capital city, and think of it as Anglo-Saxon? How could he think of us as Anglo-Saxon? How could that formulation seriously have meaning for anyone but a few crackpots in the modern age? What was he (or his adviser) thinking? The truth is that England is more Anglo-Saxon than, say, San Antonio, Texas. The idea that some Americans, and more importantly some American ideas, come from England, is not wrong, of course, and perfectly worthy of celebration; though I shall argue in the serious bits of this book that the transmutation of many of those ideas across the Atlantic has included more of the mutation than the trans, if you get my drift. Still, we do have a common heritage, and although America has just been through an election cycle with no white Protestant in either of the presidential tickets, or leading the Senate or the House, or indeed represented on the Supreme Court, there is still plainly a link of sorts between what you came from (us) and what you have become (you) . . . but my point in this book is to tell the story of how that link is fading and why allowing it to fade gently and with dignity would be a good thing for both sides. For England and the English the prize would be – ironically – independence after years of fawning over the special relationship; for America the prize would be the grasping of the nettle that Mitt Romney did not want to grasp: not that Americans at home should be more Anglo-Saxon (he knows as well as anyone this ain’t gonna happen), but that a world-view that sees those who are steeped in this tradition (plus Israel) as being the bedrock of America’s network of alliances must change; this is a world in which new nations, or old nations reborn as in the case of China, are the driving force of global growth and increasingly of global power and diplomacy. America needs to manage its decline – not an absolute decline as the gloom-mongers and the anti-Americans predict and hope (we will return to this later) but a relative decline based on the fact, and it is a fact, that other nations are growing at rates that the West cannot match and will not match in the foreseeable future. These nations need not be appeased when they are evil or aped when they are mistaken but they do need to be approached seriously. America’s relationship with China is far more important than its relationship with England. We English need to grasp this as much as you Americans do. A break with England will also persuade you to face up to one of the great questions of our times, which the rise of China poses in the starkest terms: when nations develop do they, as night follows day, become more democratic and more Western, in the sense of taking on modern Western attitudes towards tolerance and pluralism and the rule of law? Or is there another way – a Chinese way, you could call it – in which economic development will lead China and the nations in her sphere of influence into a position of world economic leadership (China will probably overtake America as the world’s biggest economy within the next few decades) without the underpinnings of democracy? The Chinese government is certainly competent and efficient, and you could argue that it is legitimate as well – there is no Arab Spring groundswell of discontent in China – but is Chinese authoritarianism a feasible long-term plan? Should America fear being overtaken by a nation that simply rejects American values and refuses to become more American as it gets richer? What should America do in those circumstances? Might Americans in 2050 be arguing for five-year plans set by Washington and less transparency and freedom for businesses in the national interest? Or will (as most Americans suspect) the Chinese model simply prove a useful transitional tool which loses its usefulness once the job of getting rich is done? These questions will need to be addressed with a degree of subtlety and sure-footedness that can only come from real concentration and effort – and self confidence as well. America’s relationship with China is the centre-piece of 21st-century diplomacy – the biggest favour the English can do their cousins (and themselves) is to get you folks to turn around and look west, not east; English people should be shouting out loud like kids at a pantomime: “It’s BEHIND YOU!” Bugger the special relationship with us – the special relationship you need to develop – a much more complex one – is with the nations across the Pacific who will, led by China, dominate the world in the future. This is not – I should say loud and clear at the very start – an official BBC view of the relationship between the UK and the US. It is a view entirely my own, though it is based very firmly in the work I did for the BBC during my eight years as its chief reporter in America. In that time I travelled widely. I covered presidential campaigns and midterm elections, I gripped and grinned with George W. Bush and sat down for a full-length interview with President Obama, but more importantly I covered the wider political and social culture of the US; the demise of the rural Greyhound service in Texas, the extraordinary work being done by evangelicals in prisons in Arkansas, the glory and danger of the American outdoors, the mystery (to our eyes) of your patriotism, your love of guns, and the way you use the language you call English. As a reporter I talked to dumb Americans and smart Americans. Also to Americans of every shape and size. I mention shape and size because I also tried during my time in the US to combat some of the sickly prejudices the English sometimes have about the US. Many Americans are not fat. This was a surprise to English audiences. Most American towns are more peaceful than most English towns: this too was a shock. American politics does involve real choice between serious alternatives: again a surprise to the English. But I also came to believe what many of you Americans believe about yourselves and your political culture: it is broken, pretty fundamentally broken. It can be fixed and it might be fixed and it should be fixed, for the good of us all, but it is, at the moment, unfixed. Part of the process of fixing America, I shall argue, is ditching pretences, including the pretence that we are your best friends forever. My family and I lived in Washington DC, and my daughter Clara was born there. Thus, through her US citizenship, we came home with more than happy memories, of reportage and of life; we also have a US citizen in our midst: we are part of you and you are part of us. Clara wants to live in Hollywood and one day, if she can fix the details, she will sail through the US citizens channel at LAX and take up her birthright. This gives me what you Americans call skin in the game, and we British, rougher folk that we are, call “a dog in the fight”. It also gives me a sense of affection for a nation that welcomed her into the world and said to her on day one, at Sibley Hospital in Northwest, Washington DC, have a nice day, and a nice life, and seriously meant it. She will return – the rest of the family will not. The adventure is over. Many of our American friends found that fact oddly, and interestingly, unsettling. For America was not designed to be left. The opposite, in fact – it was designed to be arrived in. It was, in the words of the great Eagles song “Hotel California”, “programmed to receive” and – as was the case in The Eagles’ song – there is some wonderment at the front desk when you try to go. When our time came to leave, we approached the checkout with typical Englishness. For effect, we exaggerated our sadness at the end of our time in America. The result? Confusion. “Our British home is in south London so we’ll probably all be murdered before Christmas,” we said to friends. “Oh, my gosh. Um, why not stay?” they replied, anxiously. Because you have no sense of humour, would be one answer. But that (while being partly true) is not fair. Like so many other misunderstimations of you by us and us by you, it hangs there, unchallenged, in the ether. In eight years of life in America, I came to value – to love, actually – the stolid, sunny, unchallenging, simple virtuousness of the American suburban psyche. But back in England, as well as being reintroduced to the darkness, to the can’t-do spirit, to what I saw from afar as the drunken directionlessness of our national life, I have seen a side to Britain that I had (to my shame) rather forgotten existed. It’s a richness born of knowing, rather than hoping. Contentedness rather than striving. And, as that Olympic ceremony showed in the summer of 2012, yes, humour. The woman who was to sell our house in Washington was a prime specimen of Americana. She was hellishly perky. Nothing got her down, not even the fact that we were selling in the midst of the biggest depression since the Great Flood. In this area it was different. But she thought we had too many books. She did not say so but she talked of creating spaces on the shelves – for snow-globes, perhaps, or silver photo frames filled with perfect children showing off perfect teeth. This is a cultural thing. When selling a home in America, you have to pretend that you do not live there. In fact, you have to pretend that no one lives there. Or ever has. Previously owned homes are of course the norm for us Europeans. We understand that other generations have made their mark, lived their lives and passed on to the great home in the sky. This means – as we English know, having grown up with rattling windows and mouldy grouting and those ghosts of the past – that no home will be perfect. You do not make such allowances in America. So the inspector’s report into our Washington house, the survey, was the cause of much deliberation and soul-searching from our potential buyers. An outside light was not working properly. A tap was leaking. A chimney needed investigation. As I read it, my mind turned to our house in London, which is actually falling down – somebody omitted to prop up the middle when an arch was cut in a downstairs room 100 years ago – but which is still eminently saleable. The English understand that we are all falling down. Dust to dust, we intuit. Americans do not. You have not got there yet. In the months before we left the US, I paid the highest tribute to my sense of Americanness: I visited a full-body scanning clinic whose CT X-ray scans were advertised on local radio. These scans are part and parcel of American life in the well-to-do suburbs of the bigger cities. They use high-powered technology that in Britain is the preserve of hospitals and truly ill people. In America you can simply go to your local mall, pay a hefty fee and, in theory, leave armed with a set of scans that tell you precisely how your body is ticking along. The company motto might well epitomise the attitude to life of the whole nation: “Now you have the power to see your future and change it.” The phrase is the copyright possession of Virtual Physical of Rockville, Maryland, so if you are a family doctor about to take control of your own budgets in Cleethorpes, England, do not on any account use it. Ah, but of course you wouldn’t. Not in a million years. You wouldn’t make that claim, and no Brit would believe you if you did. Truth be told, while I lived in America I decided I would rather be you than us. I admired the concern over the chimney and the belief that any problem (even those associated with my fast-declining body) could be fixed. Before I left, I sat one evening on the porch, in the growing heat of the Washington spring, listening to the cicadas chirruping and the sound of lawns being mowed, and yearned to be staying. It would be so easy, so uncomplicated, so safe. One phrase in particular from the folder I took home from Virtual Physical in Rockville caught my imagination: “Examination of the brain reveals no definite abnormalities!” Had it been otherwise, were it to be otherwise in the future, the implication is that these abnormalities would be zapped faster that you could say “Take me home to my white picket fences”. How comforting. And yet of course this comfort – like the perfect home we tried to create – is, to put it mildly, an illusion. From Washington, let me take you south by 600 miles or so to the state of South Carolina and to the city of Charleston, where the American South begins, where you can drive down Route 17 in the steamy heat, with the breeze all but non-existent, out of Charleston and down into the low country, the salt marshes. Charleston is one of America’s most elegant cities, but Route 17 is not on any tourist maps, at least not as an attraction in its own right. In a sense, though, it should be. It gives a wonderful insight into hardscrabble American life, the sleazy glamour of the road that repels and appeals to visitors – and indeed Americans themselves – in roughly equal measure: gas stations, tattoo parlours, Bojangles Pizza, $59-a-night motels, pawn shops, gun shops, car showrooms, nail bars, and Piggly Wiggly, the local supermarket chain which, in my limited experience, smells almost as odd as it sounds. Piggly Wiggly, by the way, was one of your first contributions to world culture; it was the world’s first supermarket. Mr Piggly and Mr Wiggly – I am guessing at the etymology but I may well be right – had the then revolutionary idea of abolishing the high counter that, in shops of yesteryear, came between the shopper and the goods. It was a move that has affected the world as much as the invention of the light bulb or the washing machine, but Piggly Wiggly just don’t seem too darn fussed. That’s life in the South. That’s life on Route 17 – stolid and ragged and smelling slightly of gasoline and chicken fried in motor oil. It is a panorama of the mundane: Doric columns a-plenty but all of them made of cheap concrete and attached to restaurants or two-bit accountants’ offices. On and on it goes, encroaching into the palm forests with no hint of apology. The following morning I found myself standing next to a black four-wheel-drive vehicle and another quintessentially American phenomenon: a politician mired in Bible-laced hypocrisy. At the time I met Mark Sanford, the then Governor of South Carolina whom I had made the journey to Charleston to meet and profile for the BBC, I didn’t know about the hypocrisy. But I should have guessed when he offered to let me in on a secret. He was a closet tiller of fields, he said, and liked nothing better than to get out with his boys and work the land. He took me for a drive in his Governor’s limo and after a few minutes we slowed and took a turn down a lane that ended in a field. It was hot. Under a tree stood the Governor’s tractor. The limo was parked, the clothes changed, and the Governor began ploughing. Up and down, up and down, through the heat haze. It was a wholesome picture that we duly shot for our profile. And yet for all the ugliness, the deadening tawdriness of much of the American landscape and the tinny feebleness of many of your politicians – the former Democratic Governor of Illinois who tried to sell Barack Obama’s old Senate seat, or congressman Todd Akin who doesn’t know how babies are made despite sitting on the House Science and Technology Committee – for all that nastiness and shallowness and flakiness, there is no question in my mind that to live in America was the greatest privilege of my life. We English still have much to learn from the way you have ploughed your furrows, with the mental equipment you took over to the New World. We can benefit from seeing ourselves now, in the modern age, through your eyes. And you can benefit from returning the compliment. England’s relationship with America – not Mr Cameron’s relationship with Mr Obama, but truly all of our relationships with all of you; our understanding of your way of life and your grasp of ours – is important for two reasons. First, as Mitt Romney tried, albeit clumsily, to assert in his London trip before the 2012 election, our relationship is the cornerstone of the English-speaking world, which has so dominated the history of the globe in recent centuries and contributed enormously to the health, wealth and happiness of everyone. To accept this, you do not have to subscribe to the view that everything that the English-speaking world has done has been glorious and right, or that non-English-speaking peoples have contributed little to human progress; but the thrust of recent history has been provided by the people who brought you Magna Carta, the Glorious Revolution, the Declaration of Independence and the openness to innovation and democratisation that encouraged the greatest accumulation of wealth the world has ever seen. To an extent that torch was passed to the West with the Mayflower, but not entirely. Americans can still learn from Britain and still do. And we, too, can learn from you – not least, as The Times remarked in a wistful editorial after Barack Obama’s visit to London in May 2011, in the area of self-confidence and assertiveness: we have lost our ability to trumpet our achievements and recognise our worth; you have not. The success of the London Olympics surprised nearly everyone in England. You are surprised by failure, not success. Secondly, consider the claim that America belongs to us as much as to you. The immensity of America, its energy and zest for life, used to remind me sometimes of India. And like India, where I spent some time for the BBC many moons ago, America shines a light on the entire human condition. Few other nations really do. Italy reveals truths about Italians, Afghanistan about Afghans, Fiji about Fijians. But America speaks to the whole of humanity because the whole of humanity is represented there; our possibilities and our propensities. Often what is revealed is unpleasant; truths that are not attractive or wholesome or hopeful. On the last day we spent in our home in north-west Washington, a burger bar at the end of our street was holding an eating competition. The sight was nauseating: acne-ridden youths, several already obese, stuffing meat and buns into their mouths while local television reporters, the women in dinky pastel suits, rushed around getting the best shots. America can be seen as little more than an eating competition: a giant, gaudy, manic effort to stuff grease and gunge into already-sated innards. You could argue that the sub-prime mortgage crisis – the Ground Zero of the great recession and arguably an event or set of events more damaging than 9/11 – was caused mainly by greed: a lack of proportion, a lack of proper respect for the natural way of things that persuaded companies (encouraged by politicians) to stuff mortgages into the mouths of folks whose credit rating was always likely to induce an eventual spray of vomit. There is an intellectual ugliness as well: a dark age lurking; a book-burning tendency never far from the surface of American life, even when the President has been to Harvard. For me this darkness was epitomised by the death in Wisconsin of a little girl who should still be alive. Eleven-year-old Kara Neumann was suffering from Type One diabetes, an auto-immune condition my son Sam also has. Her family, for religious reasons, decided not to take her to hospital when she fell ill. Instead, they prayed by her bedside and she died. The night before she died – and she would have been in intense discomfort – her parents called the founder of a religious website and prayed with him over the telephone. But they did not call a doctor. If Kara had been taken to hospital, even at that late stage, insulin could have saved her. She could have been home in a few days and chirpy by the end of the week, as my son was in the same situation. It was an entirely preventable death caused, let’s be frank, by some of the Stone Age superstition that stalks the richest and most technologically advanced nation on earth. I deplore the superstition and the eating competitions and the tatty dreariness of so much of America, but I am convinced that these aspects of your country are not the flip side of its greatness, as some believe, but actually part of that greatness. You cannot have the good without the bad: there is something about the carelessness of America that gives space for greatness. Out on Route 17 in South Carolina, you can do very well or very badly. You can crash and burn, or you can fill up with cheap gas (yes, folks, it really is still cheap to English eyes) and ride on into the sunset. If you do not like yourself in South Carolina, you can hire a self-drive truck and take it to Seattle. If you do not like your life and you have ambition and a little luck, you can change it because – being American – you believe you can change it. The reality is that American social mobility is stalled, but the myth still powers men and women and, if the stall can be broken, the dreams are still there to power revival. My favourite story of American progress: sitting in a dingy New York apartment watching Perry Mason on the TV, Sonia Sotomayor, only eight-years-old and suffering from Type One diabetes, decided she was going to make it big in law. In 2009, by now in her fifties and having triumphed over poverty and daily insulin injections and the health scares that will have accompanied her condition, she was a Supreme Court Justice. But if Sonia Sotomayor can make it big, there must be something creating the drive, and part of that something is the poverty of the alternative, the discomfort of the ordinary lives that most Americans endure and the freedom that Americans have to go to hell if they want to. This is what English people often fail to grasp about your nation. This is the atmosphere in which Nobel Prize-winners are nurtured. A nation that will one day mass-produce a cure for Type One diabetes could not – would not – save little Kara Neumann from the bovine idiocy of her religious parents. And yet there is something missing. And that, to an extent, is where we English can help. America has lost sight, I think, of some of the subtleties of human life, some of the political compromises and mental accommodations that go towards making the good life on earth and are arguably part of the reason that English-speaking peoples have been as successful as they have. America is future-focused to be sure, and in many ways benefits from this attitude; but the place has become crazed by fights over fundamental world-views that actually do not matter very much. The Obama presidency coincided with, and to some extent caused, a fight to the death over culture that America really does not need to have. In the Britain of the coalition government we have battles about the here and now: the future is for folks to whom we have not been introduced and about whom we do not currently care. We still get drunk together, while sober Americans seethe and plot. Having said that, this book is anything but a serious political text. It is intended as a snapshot of a rather odd moment in history, when the go-getters got their knickers in a twist, while the old country plodded on. A moment when the highly respected and serious-minded American political commentator David Brooks made a journey to Britain and found that, for the first time ever, he had left a pessimistic place and come east to a more optimistic one. Britain is phlegmatic and practical in the modern age; America is behaving like a middle-aged man in the grip of a full-scale mid-life crisis. America has gone out and bought a motorbike and is driving it too fast. Mr and Mrs America argue constantly – she thinks he is mad and he thinks she is dull and ugly. We look at you and we see you are in a mess. Even the killing of Osama bin Laden – an event of seismic political importance in the US, utterly underestimated in most English reporting – failed to do the trick. That provides an opportunity for Britons who like and admire America to rethink the relationship we should have with it in the future; to rethink the reality of both the ties that bind us and the utter separateness of some of our customs and heritage. So this is about you and us and, most importantly, the space between, which is filled sometimes with distrust and venom and sometimes with genuine communion of spirit. It is about the special relationship. There: I have said it. The latest twist is that the relationship has become essential rather than special. And the White House now understands that while special was silly, essential is, well, essential. I doubt it. On my last day at the White House, I was thrown out of the study of a senior official when I mentioned the special relationship. “Gettoutahere!” he screamed. “You people are all mad.” Obama folks felt, and feel, that they have more important things to focus on. They are right, probably, but that need not stop us thinking about these matters and coming up with a vision of you and us that genuinely accords with history and fits the times. Justin Webb was the BBC’s North America Editor for eight years, from 2001 to 2009. He currently hosts the popular Today program on Radio 4 in the UK. He lives in London with his wife and three children. "Webb was the BBC's North American editor for eight years. 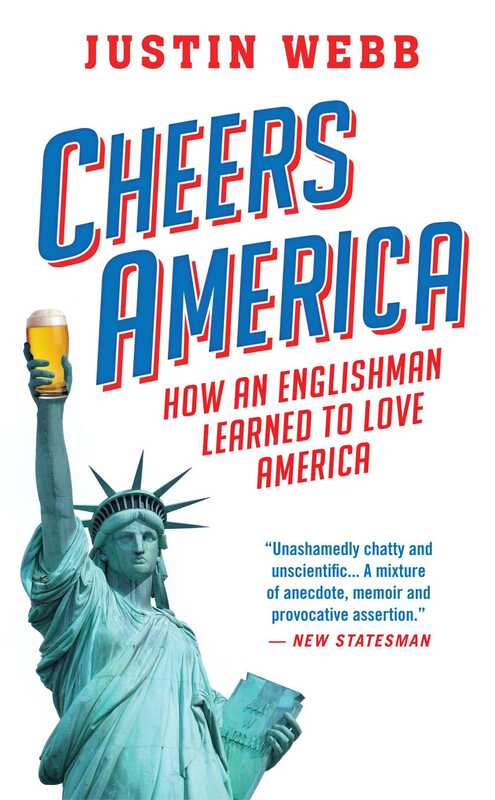 Here he straddles the Pond to explore the tectonic shifts between Britain and America, and why, even if they rub each other up the wrong way, the two nations are inextricably linked." "Webb offers a fun look at politics." "Webb's take on the two great nations is expert, familiar, profound, funny."